Laerdal's Resusci Anne® QCPR Upgrade Kit Bundle helps Resusci Anne users easily refresh their manikin with new technology, features, a rechargeable battery, and more. 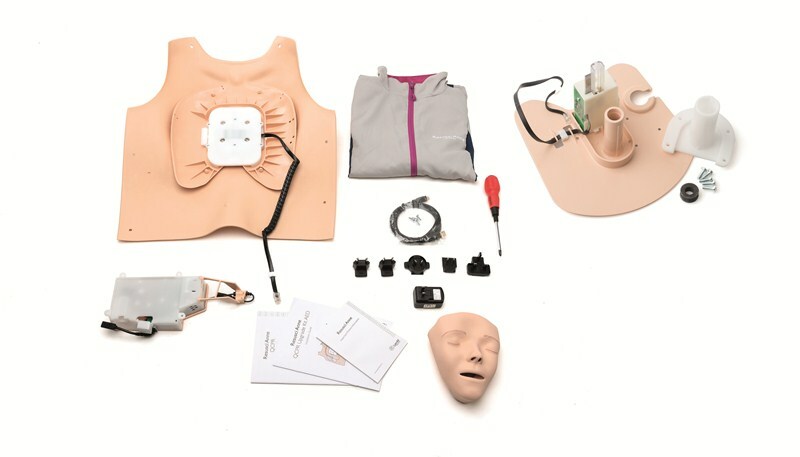 The new electronics will improve feedback device connectivity via Bluetooth Low Energy and enable the use of Laerdal's QCPR apps for smartphones and tablets. The RA QCPR Upgrade Kit includes new electronics featuring Bluetooth Low Energy (BLE) and a rechargeable battery, which comes standard with new Resusci Anne QCPR manikins. The kit also includes required cables, a new chest skin and clothes.